Climb aboard for an adventure to the Greek islands of past and present! You'll meet creatures of land and sea-and if you think pirates are a thing of the past, you might want to keep an eye on your valuables. Meet Elias Tantalos, an almost-eleven year old bad luck magnet who escapes the most dreadful school year of his life by boarding a boat in the Aegean Sea where there are, happily, more rocks than people. When he discovers a two-thousand-year-old good luck charm-the gold leaf crown meant for the sun god Apollo-he is sure the worst is behind him. 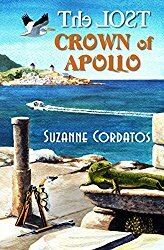 Antiquity thieves are rummaging around the ancient Greek ruins, however, and when they kidnap his sister Elias knows he holds the perfect bait to lure the thieves away... but if he gives up Apollo's legendary Crown of Victory will sixth grade be even tougher than fifth? Can he find the inner strength to do the right thing? This is a lovely adventure that parents might enjoy as much as the kids! Sophie Topfeather loves to collect people-things with which to decorate her life and home. When she finds a golden necklace, she is intrigued by its shape and shows it to her grandfather, the Great Wise Horned Owl of the Park. His reaction only stirs her interest even more; he calls it a holy symbol, and then a 't' for 'trouble'! All of which sets our young owl off on a Quest to learn its true meaning. Little does she know that a day-dreaming, over-protected, adventure-seeking Pirate - er, mouse - named Timley has leapt into the brim of her hat as Sophie flies off on her Quest! And suddenly, their adventure takes its own turn as they find themselves on board a ship bound for the Holy Land. Thorns and thistles! Has the trouble started already? Can Timley convince Sophie she should not-I repeat, NOT-eat him? This is also the story of the mysterious Sky Painter, who seems to be with them-no, leading them-on their Quest. So, why is he always leading them straight into trouble? Was the Great Wise Horned Owl right all along? Come along on the Quest to find out! This is the sequel to Sophie's Quest and it begins back in the Park where everything for Sophie began. Nothing in the park this year is the same, and as the animals prepare for the annual Owlympic Games there is a growing division of opinion on what should and shouldn’t be allowed to happen concerning the mice. 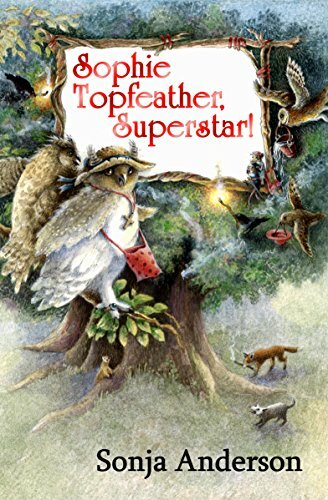 Sophie Topfeather’s grandfather, the Great Wise Horned Owl, rules the park – but for how long? Not very, if the opossums and skunks and some others have their way! 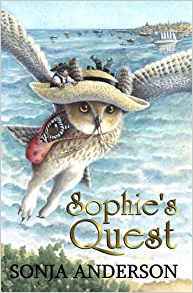 Sophie, feeling she is losing all her owl friends, and now Timley the mouse too, flies away from the park and finds another home and new friends – but wait! Stardom is calling when she is whisked away from them too, and she is bedazzled by it all. What a wonderful life! But when, back in the park, things turn ugly – very ugly – her friends come to find her and beg for her help. With the park on fire, can Sophie unify them all again and bring peace? What if she fails? This is another terrific children's adventure story from the talented Sonja Anderson. Katy Robinson, an unhappy young foster child, daydreams constantly – of a proper home with her parents, of having good friends, and of being as popular at school as Sandra Magill. Sandra has an enviable lifestyle in the countryside, with her parents and her horse Tommy, and is always surrounded by friends. But when Katy dreams of doing something admirable to impress Sandra, the results aren’t quite what she had in mind! Her initial shock at waking up to her new status as a horse gradually grows into acceptance. Being cared for by Sandra’s posse, and becoming friends with Tommy, all help. But Katy-the-girl is officially missing and being looked for by the police – and when Sandra and her friends decide to undertake to find their schoolmate, Katy finds she is able to lead them in the right direction. 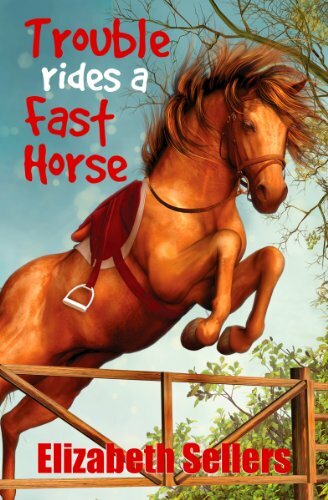 Through various adventures, including putting the school bullies to flight, unexpected friendships and discoveries develop, and the question is – will Katy decide she prefers being a horse, or will she try to find a way to become a girl once more? 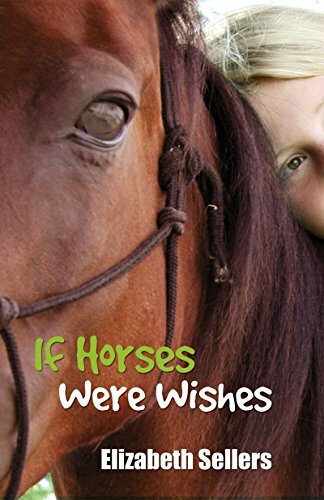 In this exciting sequel to If Horses Were Wishes, Katy’s adventures continue in her guise as Lady, the horse who makes up the sixth part of a detecting gang of friends. The suspense runs high as the Fallon Five are determined to get to the bottom of some very strange goings on in the large stable yard of their mortal rival in the show jumping arena. Katy has to use every ounce of her strength and the skills she has only recently learned, to smuggle herself into the yard as an undercover horse-spy. But she discovers the stakes are much higher than any of them had expected – and that their foes are armed, dangerous, and very angry. With the help of the horses in the yard, and then from a surprisingly unexpected quarter, the Fallon Five cause mayhem in their quest, and finally succeed in finding out what they’ve come for. But will the friends be able to make it home safely and persuade the adults that they are telling the truth about what they have found? Will they be able to save the remaining horses at the stable yard? And will Katy remain happy in her new life as a horse, or will she finally decide to try and turn back into a girl? All these books are terrific reads for younger and middle-grade children, but not only that, many parents will enjoy reading them too, so settle down with the kids during the half term or summer holidays and have a reading fest that you will all remember. All our books are available as paperbacks too, so take your pick and enjoy some really well-written stories! Super books for the kids. They are all beautifully written and produced.